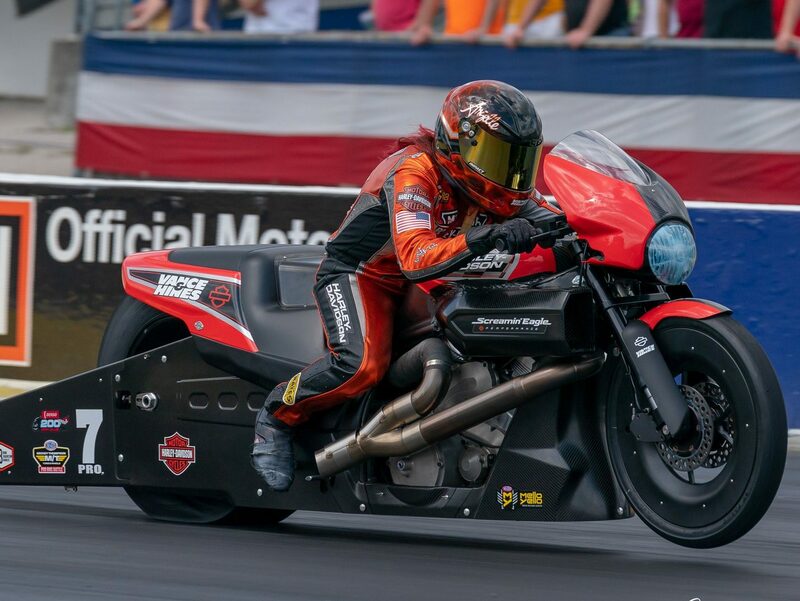 The Vance & Hines Harley-Davidson team announced three-time NHRA Pro Stock Motorcycle champion Angelle Sampey will compete at all 16 national events on a Harley Street Rod. Initially the deal was for four events with the possibility of more. Sampey, the 42-time national event winner, was thrilled. The Pro Stock Motorcycle series resumes April 5-7 in Las Vegas, Nev.